These Terms and Conditions together with the Insertion Order form the agreement between the Advertiser and Mediatiz Ltd in respect of Advertising Services. If Mediatiz Ltd supplies Advertising Services which are not specified in an Insertion Order these Terms and Conditions still apply. What the Advertiser will do? What the Advertiser will not do ? Use any feature of LexpressCars to send unsolicited commercial email, whether individually or as a group. Response management tools may only be used to communicate with Ad respondents about the specific. 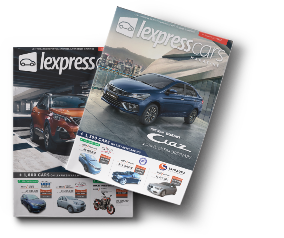 If accepted, LexpressCars will use its best endeavors to publish the Advertiser’s Ad as set out in the Insertion Order as per the Terms and Conditions of this Agreement. LexpressCars’ ability to provide the Advertising Services is dependent upon the Advertiser and third parties performing their obligations. If LexpressCars is unable to provide the Advertising Services as a direct or indirect result of any act or omission of the Advertiser or any third party or Force Majeure the Advertiser will have no remedy against LexpressCars in relation to any delay or any failure to provide the Advertising Services. While every endeavor will be made to publish the Advertiser’s Ad as set out in the Insertion Order, LexpressCars will not ( other than as set out in clause “Business day” ) be liable for any error, omission or failure to publish the Ad in the form ordered, including acts or omissions of LexpressCars, its employees or agents. If an Advertiser advertises more than one vehicle in the one Ad, then LexpressCars reserves the right to enforce Clause 5 (h) by posting a separate and distinct advertisement for each vehicle and charging the Advertiser an additional Fee for each extra vehicle advertised in the original Ad or Insertion Order. The Advertiser may, after submitting an Insertion Order but prior to the Publication Date, request in writing changes or variations to the Insertion Order (“Change Request”). any impact which implementation of the Change Request is expected to have on the ability of LexpressCars to perform its obligations in accordance with the Insertion Order. LexpressCars will have no obligation to proceed with a Change Request until such time as both parties agree in writing and the Advertiser has paid any additional Fee. Subject to the Insertion Order, the Advertiser acknowledges and agrees that LexpressCars makes no representation or warranty with respect to the continuous accessibility or availability of LexpressCars Website or the number of Impressions, click-throughs or like metrics. LexpressCars provides no warranty to Advertisers that services generally available through LexpressCars Website will be uninterrupted or error free. LexpressCars agrees to use its reasonable endeavours to ensure that any disruptions to or a denial of access to LexpressCars Website will be remedied as quickly as possible. LexpressCars cannot and does not guarantee or warrant to the Advertiser that files available for downloading through LexpressCars Website or delivered via electronic mail through LexpressCars Website will be free of infection or viruses, worms, Trojan horses or other code that manifest contaminating or destructive properties. The Advertiser is responsible for implementing sufficient procedures and checkpoints to satisfy their particular requirements for accuracy of data input and output, and for maintaining a means external to LexpressCars Website for the reconstruction of any lost data. The Advertiser may cancel an Ad and terminate the Agreement without cause, on written notice to LexpressCars, not later than 30 days prior to the Publication Date. LexpressCars reserves the right to charge the Advertiser in accordance with the Agreement where the Agreement is terminated with less than 30 days written notice. How and when LexpressCars’ Fees are payable? payable with 14 days of invoice. The Advertiser acknowledges and agrees that no fee or other payment will be paid by LexpressCars to the Advertiser for placing an Ad. any expense (including legal fees) incurred by LexpressCars in recovering the outstanding Fees from the Advertiser. Subject to clause 11.3, LexpressCars’ liability to the Advertiser under this Agreement is limited, in aggregate in respect of all claims or causes of action, to the sum of Fees paid or payable in respect of the Advertising Services to which the claim or cause of action relates. In no event will LexpressCars be liable to the Advertiser for loss of use, production, profit, revenue, business, data, contract or anticipated savings or for delay or for any financing costs or increase in operating costs or any economic loss for any indirect or consequential loss or damage. LexpressCars may suspend the Advertising Services in the event of a Default Event by the Advertiser. LexpressCars may terminate this Agreement on 30 days written notice to the Advertiser. The publication by LexpressCars or any other person of the Advertiser Ad. LexpressCars acknowledges that the Advertising Materials are owned and licensed to the Advertiser. The Advertiser grants LexpressCars a non-exclusive, royalty free, worldwide license to use, copy, perform, reproduce, display, transmit and distribute the Advertising Materials for the purpose of performing its obligations pursuant to this Agreement. 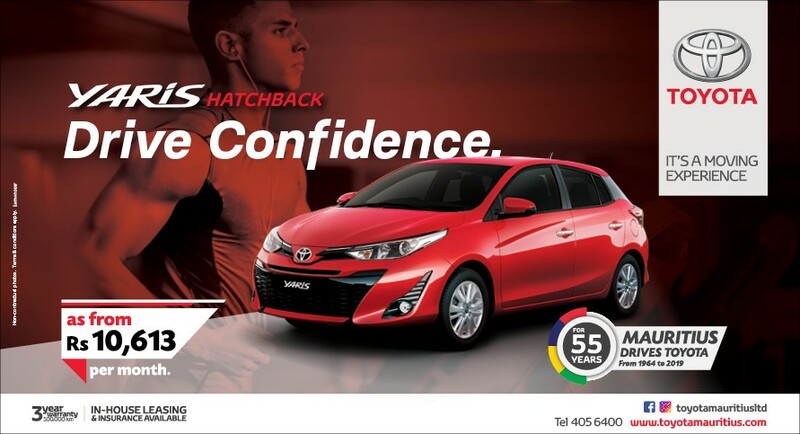 The Advertiser must not release to the public any news release, advertising materials, promotional materials or any other form of publicity relating to LexpressCars without LexpressCars’ prior written approval. LexpressCars may, in its absolute discretion, modify or amend these Terms and Conditions without notice to the Advertiser and such modification or amendment will be binding on the Advertiser at the expiration of the notice. The Advertiser must thereafter comply with the amended Terms and Conditions or terminate this Agreement as set out herein. Usage Statistics – Unless otherwise agreed in writing, LexpressCars’ statistics shall be conclusive for the purpose of calculating impressions, usage statistics and metrics, in respect of the Advertising Services. Entire Agreement – These Terms and Conditions and the Insertion Order set out the entire agreement between LexpressCars and the Advertiser in respect of the Advertising Services and supersedes all prior arrangements, undertakings, representation and warranties in respect of the Advertising Services including any terms and conditions submitted by the Advertiser and not set out in this Agreement. 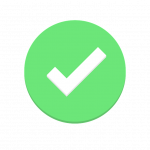 Further Acts – Each party agrees to do all things that may be necessary or desirable to give full effect to every part of this Agreement if asked in writing by the other Party to do so. Assignment – The Advertiser will not assign, transfer or otherwise dispose of, in whole or in part, his/her/its rights or obligations under this agreement without prior written consent of LexpressCars. Sub-contractors – LexpressCars may subcontract the performance of this Agreement or any part thereof. Provisions Severable – If any provision of this Agreement is invalid, illegal or unenforceable in any respect the validity, legality and enforceability of the remaining provisions will not be affected and such invalid, illegal or unenforceable provision is to be severed from the relevant agreement. Waiver- Failure by any Party to exercise or delay in exercising any right, power or remedy under this agreement does not prevent its exercise. Governing Law – This Agreement is governed and construed in accordance with the laws of Mauritius and the Parties irrevocably submit to the exclusive jurisdiction of the Mauritian courts. Please read this agreement carefully before accessing or using the information and services available through LexpressCars website (“Site”). By accessing or using the Site, you agree to be bound by the terms and conditions below. LexpressCars may modify this agreement at any time, and such modifications shall be effective immediately upon posting the modified agreement on the Site. Advertiser Terms and Conditions must be accepted and adhered to by Advertisers who use LexpressCars services and the Site. Copyright in the material and trademarks on this Site are owned by Mediatiz Ltd (“LexpressCars”) unless otherwise indicated and you agree not to infringe any intellectual property rights owned by LexpressCars. You acknowledge and agree that information published by LexpressCars is intended to provide general information in summary form on legal and other issues. LexpressCars does not endorse or recommend any of the vehicles, dealers, importers, buyers, agents or products advertised on its Site and LexpressCars strongly recommends that prior to entering into any agreement with any of the Advertisers on the Site, that you obtain your own independent legal, accounting, financial, customers, mechanical, roadworthiness or taxation advice as appropriate. It is solely your responsibility to evaluate the accuracy, completeness and usefulness of all opinions, advice, services, merchandise, vehicles, products and other information provided through the Site or on the Internet generally. In no event will LexpressCars be liable to you or anyone else for any decision made or action taken by you or anyone else in reliance upon any information contained on or omitted from the Site. LexpressCars gives no guarantee to you of the continued availability of any particular vehicle or product advertised on the Site and will not be liable to you should an advertiser have sold the vehicle at any time prior to removal of the advertisement from the Site. Whilst LexpressCars takes efforts to ensure that vehicles advertised are genuine and that the data presented about the vehicle is accurate, it gives no guarantee to you that every vehicle or description is free from errors or inaccuracies. LexpressCars may provide links and pointers to Internet sites maintained by third parties from its Site. Such linked sites are not under the control of LexpressCars and LexpressCars is not responsible for the contents (including the accuracy, legality or decency) of any linked site or any link contained in a linked site. LexpressCars is providing these links to you only as a convenience, and the inclusion of any link does not imply endorsement by LexpressCars of the linked site. LexpressCars is not responsible for the copyright compliance of any linked site. LexpressCars will not be liable for any damages or loss arising in any way out of or in connection with or incidental to any information or third-party service provided by any third party. LexpressCars provides no warranty to you that the services generally available through its Site will be uninterrupted or error-free or that defects in the service will be corrected. You also understand that LexpressCars cannot and does not guarantee or warrant to you that files available for downloading through the Site or delivered via electronic mail through the Site will be free of infection or viruses, worms, Trojan horses or other code that manifest contaminating or destructive properties. You are responsible for implementing sufficient procedures and checkpoints to satisfy your particular requirements for accuracy of data input and output, and for maintaining a means external to the Site for the reconstruction of any lost data. While LexpressCars takes all due care in ensuring the privacy and integrity of the information you provide, the possibility exists that this information could be unlawfully observed by a third party while in transit over the Internet or while stored on Cheki systems or on LexpressCars’ Site. LexpressCars disclaims all liability to you to the greatest extent possible pursuant to law should this occur. You agree to immediately notify LexpressCars of any unauthorized use of your login name or any other breach of security known to you. You agree that it is a condition on your use of LexpressCars Website, LexpressCars Pricing Data or Pricing Service and of any other services provided by LexpressCars or through the Site that you will not either through any act or omission mislead or deceive others. Prices may vary depending on options chosen and attributes chosen.